At the Academy, we understand that not all prints go the way we want them to! Below we have outlined the top 5 most common print errors, that not only we come across but our customers too. Our trainers have also shared with us how to overcome these print errors, so you can be back printing in no time! Clogged Extruder – this is usually when the plastic material is not freely extruding. One of the main reasons is when the tip/nozzle is blocked. System stops printing – this is usually caused by many issues, mainly because the machine is out of filament. Printing wrong size models – This is a common error and can be easily done, after the print has finished you realize the model is either too small or too big. General Maintenance – Unclean heads, rollers, roller baths, calibrations etc. if the systems are not looked after by simple everyday maintenance, it can cause all sorts of issues. Warping (FDM)- this is when certain flat models start to warp in the corners causing the model to curl up, it usually happens when the plastic cools and tends to shrink, causing the part to separate from the bed and curling. Clogged Extruder – this can be rectified by simply cleaning the nozzle, reload the material then manually pushing the filament into the extruder. System stops printing – usually make sure there is enough filament on a spool or canister to complete the job. Also making sure the spare compartments have back up material loaded in it. Printing wrong size models – simple fix, just check with your team or CAD designer and make sure you have the right dimensions in the software before sending the file to print. General Maintenance – this can be tackled by simply staying on top of the cleaning of the heads and roller/roller baths after each print and making sure the FDM systems are calibrated. Warping – there is only a couple of things you can do to stop this. 1. Make sure the z-axis is calibrated correctly. 2. Disable the fan cooling on the FDM system which should stop it from shrinking. Many of these common print errors are covered more in-depth in our PolyJet and FDM Training Courses. Not looking after your 3D printer and forgetting about essential maintenance can be costly. 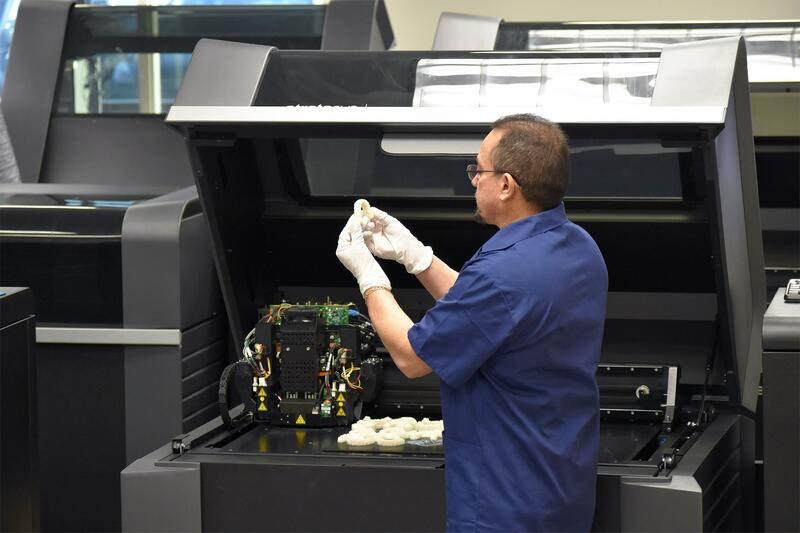 Preventative maintenance on your 3D printers is essential to the longevity of your 3D printers components such as heads and rollers, as well as making sure you are getting the best 3D printed part. Enquire about one of our 3D print courses today, which will cover all of the above and more for you and your team.